How smooth are The Guy’s delivery’s during the second season of the High Maintenance TV show on HBO? 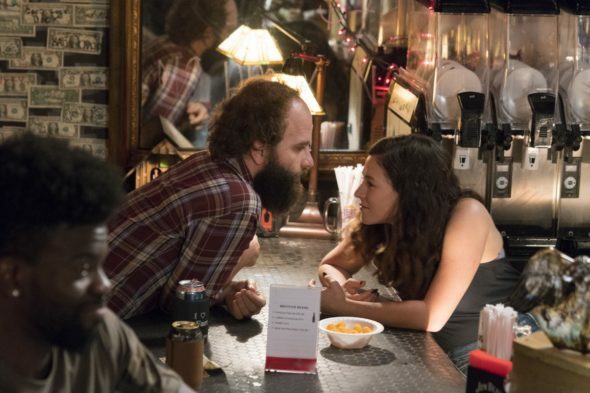 As we all know, the Nielsen ratings typically play a big role in determining whether a TV show like High Maintenance is cancelled or renewed for season three. Unfortunately, most of us do not live in Nielsen households. Because many viewers feel frustration when their viewing habits and opinions aren’t considered, we’d like to offer you the chance to rate all of the High Maintenance season two episodes here. An HBO TV series from creators Katja Blichfeld and Ben Sinclair, High Maintenance stars Sinclair as a nameless Brooklyn weed delivery person, known only as “The Guy.” Each episode of cannabis deliveryman comedy-drama features a new set of customers, from whom “The Guy” gets a different glimpse of Big Apple living. New guest stars in the second season include Danielle Brooks, John Gallagher, Jr., Jessica Hecht, Luzer Twersky, and Kate Lyn Sheil. Abdullah Saeed and Yael Stone return in High Maintenance season two. What do you think? Which season two episodes of the High Maintenance TV series do you rate as wonderful, terrible, or somewhere between? Should HBO have renewed High Maintenance for a third season? Don’t forget to vote, and share your thoughts, below. More about: High Maintenance, High Maintenance: canceled or renewed?